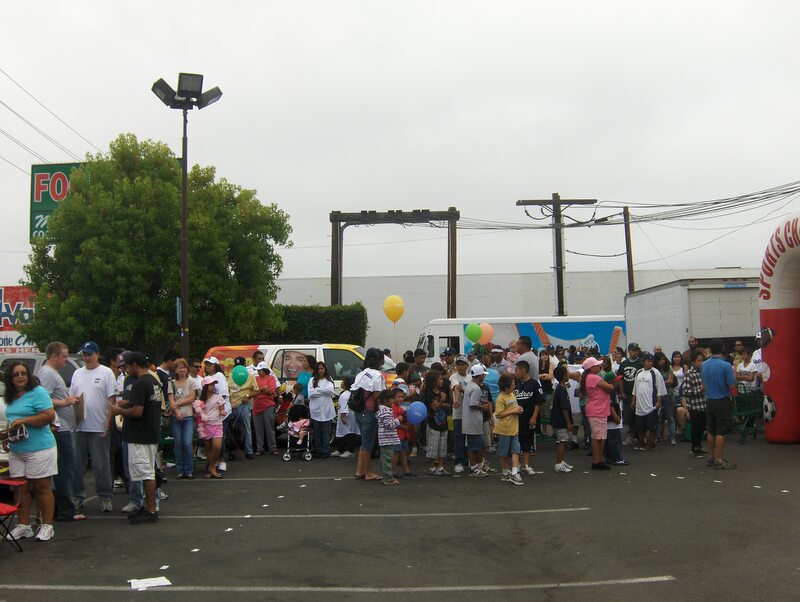 Adrian Gonzalez was scheduled to sign autographs for free at a Hispanic Super Market in National City at 12pm It was crazy. We arrived early. About 20 fans in front of us but about 500 fans behind us. I’m not kidding. Adrian is very popular in the San Diego area. I took my World Baseball Classic Mexico Jersey. He was signing only 1 item per person. You couldn’t give him another item. Impossible. I gave him the jersey and told him I enjoy his personal website and he thanked me and I asked for a quick picture. With loud Mexican music in the background, I didn’t hear what he said. But my Wife shot the picture but it didn’t come out good. I guess the guys in the background waving at her didn’t make it easy. lol 🙂 But I got the autograph and that’s what counts. The following players that have signed the jersey is Benji Gil, Oliver Perez and Fernando Valenzuela. Let’s see how many more Mexican players I can get in the future. 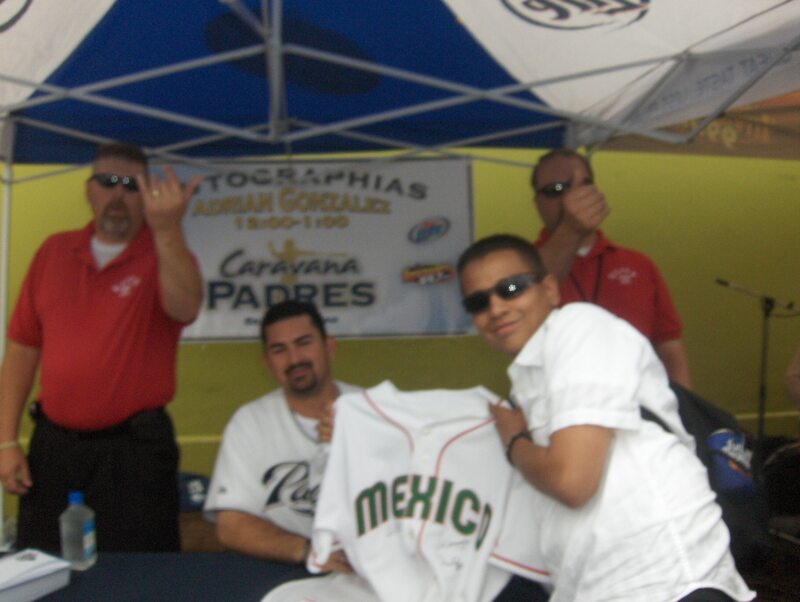 This is the picture of Adrian Gonzalez and myself holding the Jersey. A friend shot a picture of this moment from a different angle. He hasn’t e-mail me the picture but once he does I will post it here. A picture of all the fans waiting….You could only see from the front. This line went as far back as 1 block away from the Market. I don’t remember seeing that much people to get a autograph. I’ve seen alot of fans at other events but this one had to be the most I’ve seen.